Little Tikes Jump N’ Slide Bouncer Just $143.24! PLUS FREE Shipping! 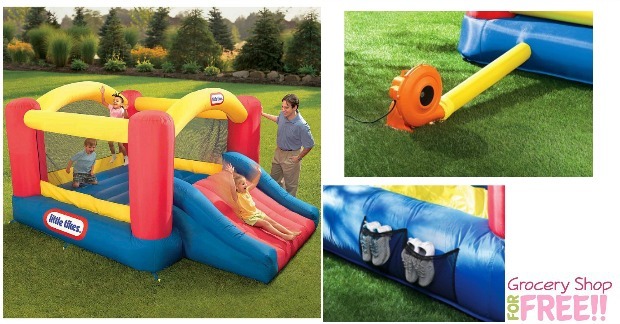 You are here: Home / Great Deals / Little Tikes Jump N’ Slide Bouncer Just $143.24! PLUS FREE Shipping! Right now you can get this great deal on the Little Tikes Jump N’ Slide Bouncer just $143.24 after Shop Your Way Rewards and a NICE coupon offer! PLUS FREE shipping! It’s normally priced at $269.99, but, right now, it’s on for just $189.99! Shop Your Way Rewards members will also get back $31.75 in points PLUS you can use a $15 Off $150 Kmart Coupon, making the final price just $143.24 PLUS FREE Shipping!